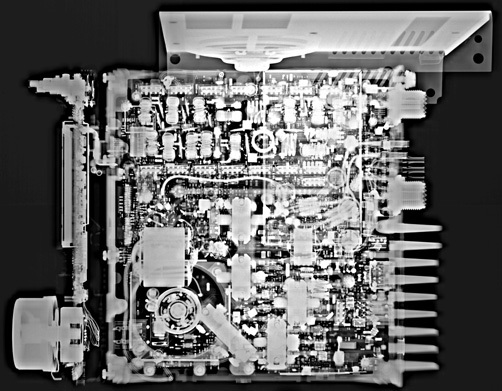 Recently, I had access to some very nice digital radiography equipment, and decided to shoot some interior views of my IC-7000. I removed the top and bottom covers to get better detail and contrast inside. In Figure 1, you can see the top cover with the speaker still attached on one side. I like the detail on the head in Figure 2. You can even see the plated-through holes on the PCB. Looks like there might be some revision in the mike. You can make out a small wire inside. Fig.2: Front view of IC-7000 control head (above); HM-151 mic (below). 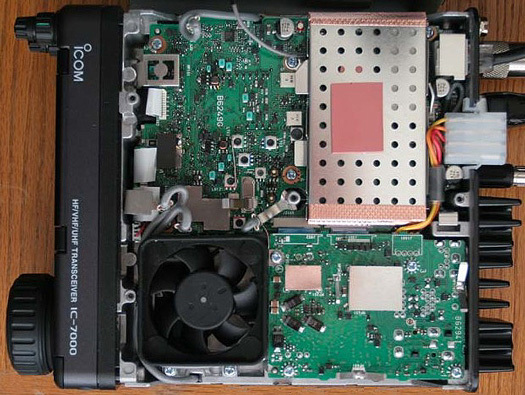 By way of comparison, Figure 3 is a photo of the IC-7000 (top view). 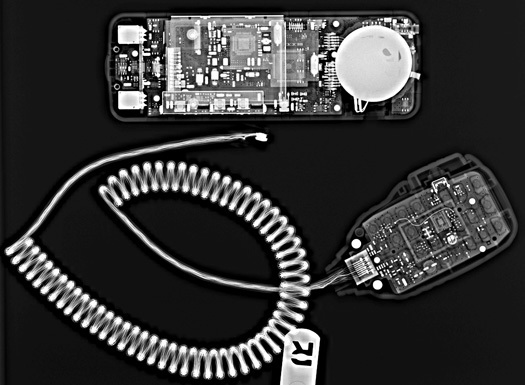 Fig.3: Photo of IC-7000 (top view). Copyright © 2006, S. Honaker N7SS. Editing and page creation: A. Farson VA7OJ/AB4OJ. Last revised: 06/16/18.